Bring all of the good things about going to the movies into your home. Enjoy the perfect lighting for every moment. Control every feature of your home from a single location. Enjoy top-quality sound in your home. Remove allergens and dust from your residence. 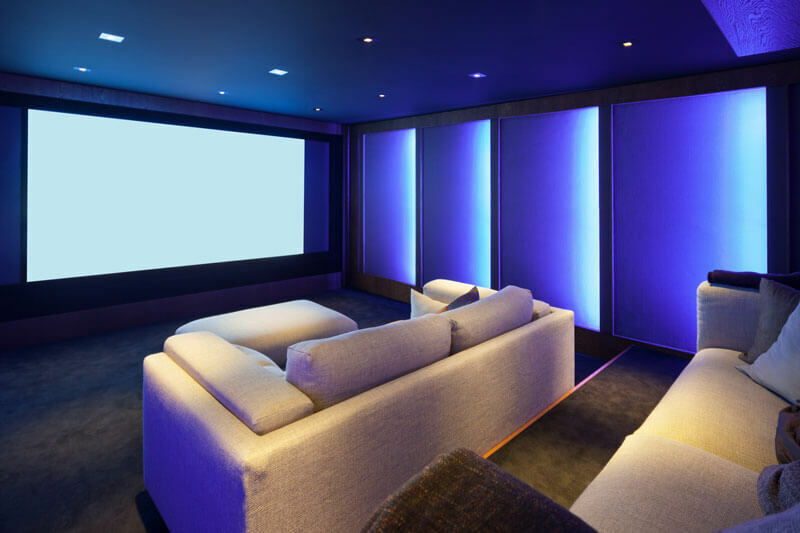 The most sought-after home improvement of the 21st century, a home theater system, is designed to bring all the good things about going to the movies into the home. 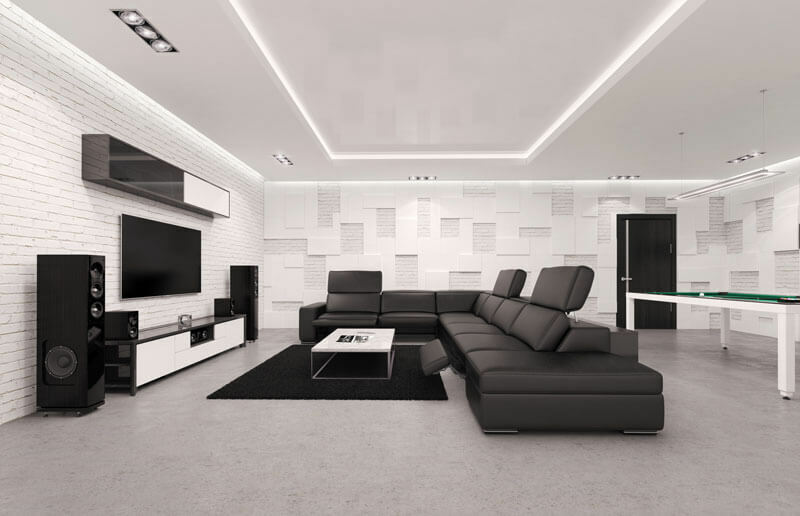 Large front or rear projections screen systems and finely tuned multi-channel audio turn a dedicated room into the ultimate forum for entertaining and enjoying your favorite movies. High Definition. High Fidelity. An immersing experience. H&O can scale a home theater to whatever level you desire, from basic digital sound to full-blown impact with built-in seating and automated light control. If you can dream it, our team of experts can make it a reality. Years ago, high definition theaters were only for the well to do . . . Not true any longer! The brilliant and rich HD choices can be yours for less than you think. We have the background and the expertise to provide the most spectacular theater experience for every budget. From flat panel LED to 133 inch projector movie screens, we assure that we can blow you away, and can rival the movie theater experience. Home & Office Technologies specializes in creating total home automation systems that allow you to control every feature of your home from a single location. Imagine a system that connects lighting, security, audio/video, heating/air conditioning, showers, tubs, fountains, draperies, and many other household features allowing manual or automated control. Control every feature from a single location. Imagine a system that connects lighting, security, audio & video, heating & air, showers, tubs, draperies, and many other household features with the touch of a few buttons. Let us help you design a home automation system to meet your needs. Imagine having top-quality sound in every area of your home without having to purchase separate equipment for each room. With a multi-room sound system from H&O, your whole house can be wired for sound inside and out. Systems are available to route the same sound to the whole house, or choose a multi-source system that gives you unlimited control. Full Automation. In-Home Theater. Expert Installation.